With no shows during Nintendo’s recent Nindies and more core Switch focused Directs, it would be normal to presume that Stardew Valley wasn’t going to hit its initial 2017 release date for the handheld/ home console. 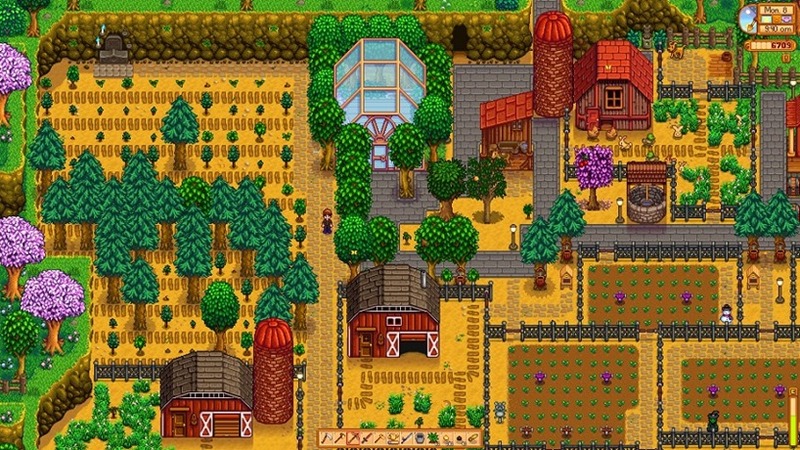 Chucklefish, the publisher behind the mega-hit farming simulator, remained silent in the wake of thousands of fans asking about where the project was at. But in a surprise update last night, it seems the game isn’t far away at all. And we could be getting a release date very soon. Chucklefish yesterday revealed that Stardew Valley had passed approval for release on the Nintendo Switch, which suggests that the game is in the final stages of certification before it’s put up on the store. There’s no release date yet, but the tweet did suggest that finalisation on that would be coming even sooner. With still three months left in the year, it seems pretty set then that the game will hit its 2017 target – even if it launches in the mayhem of the holiday games rush. Stardew Valley Switch Update, we’ve been approved. Working on finalising a release date with all parties involved. Will continue to inform! Stardew Valley isn’t just a big deal on Switch because you can take your addiction anywhere (although that is a big selling point). Although the game will likely launch this year, the big update comes in 2018, when the Switch version becomes the first console version of the game to support multiplayer. The mode will launch on PC too and eventually get to PS4 and Xbox One, but co-operative farms will first land on Nintendo’s console. And considering it was a feature first envisioned for the original launch last year, fans have been waiting patiently. Stardew Valley was a roaring success when it launched in February of last year, selling into the millions in its first few months just on PC. Having it on Nintendo Switch seems like the perfect platform though, and it’s good to see we might not have to wait much longer.